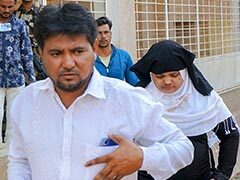 In a landmark judgment, the Supreme Court has directed the Gujarat government to give Rs 50 lakhs, a job, accommodation and compensation to Bilkis Bano who was gang-raped in one of the worst single cases in the 2002 Gujarat riots. During the riots, 14 members of Bilkis' family were killed, including her two-and-half-year old daughter who was snatched from her mother's arms and smashed on a rock. 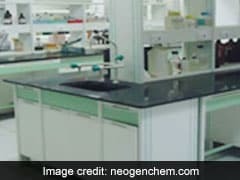 This compensation comes two years after the Bombay High court delivered justice, convicting 11 of the accused, including five Gujarat policemen and two doctors for tampering with evidence. With today's third round of voting, India's seven-part elections are hitting Prime Time. Rahul Gandhi and Amit Shah - bosses of two of the largest parties going up against each other - will be on the ballot today, besides a slew of heavyweights. 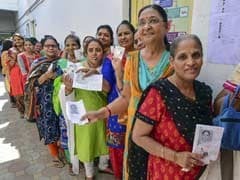 More than 18 crore voters - nearly three times the population of the UK - in 13 states and two union territories, including all of Gujarat, Kerala and half of Karnataka, will line up to decide their fate. While many of the contenders are considered too big to have a real challenge on their hands, the Indian electorate has always reserved a surprise or two for the pundits. The third and largest phase of the national election witnessed a drop in poll percentage, with only 66 per people turning out to vote. 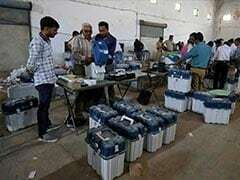 Polling across 117 seats in 13 states and two Union Territories was marred by complaints of glitches in Electronic Voting Machines and violence in several states, in which a man died. The whole of Gujarat and Kerala and half of Karnataka voted today. Prime Minister Narendra Modi, who cast his vote from Gujarat this morning, held a mini road show and made a political speech, for which the Election Commission has sought a report. "I can say with surety that the voter ID is much much more powerful than an IED," he had said. 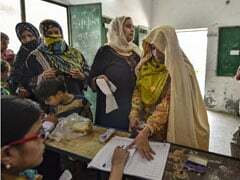 The last of the seven-phase election will be held on May 19, the counting is scheduled for May 23. The third phase of the ongoing Lok Sabha election is the biggest of the seven rounds, with a maximum of 116 seats going to polls. It is also enormous with respect to the stature of leaders contesting in this round of polling. While BJP President Amit Shah and Congress chief Rahul Gandhi are contesting in their respective seats, Leader of Opposition Mallikarjun Kharge, a Congress veteran, is also hoping to be reelected from his seat. This phase is also witnessing some of the most intense contests in Indian politics. 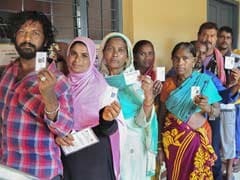 More than half of the 95 seats voting in the second round of Lok Sabha elections today are in Southern India, representing nearly nine crore voters. 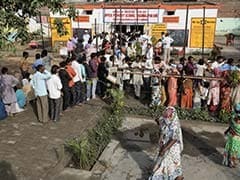 People in 38 constituencies of Tamil Nadu, 14 of the 28 in Karnataka and the lone seat in Puducherry began queuing up early on Thursday in the second phase of the mammoth, seven-round general election in which opposition parties are trying to stop Prime Minister Narendra Modi from winning a second term. 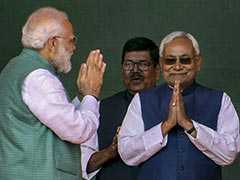 The main opposition Congress party and its allies need to win big in the southern states if they hope to oust the BJP. Sporadic clashes in Bengal and Tripura on Thursday marred the second phase of the Lok Sabha elections, in which 66 per cent polling took place. 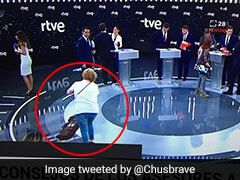 In both places, candidates came under attack and voters clashed with the police, alleging that they were not allowed to vote. Polling was peaceful in Tamil Nadu, where election in one of the 39 Lok Sabha seats was cancelled following cash-for-vote allegations. The election, held simultaneously with by-polls on 18 assembly seats that would decide the fate of the AIADMK government, was preceded by multiple raids involving huge amounts of cash. 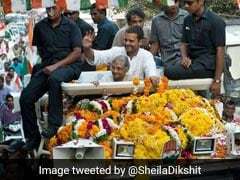 95 Lok Sabha seats across 11 states and one in the Union Territory of Puducherry voted in this round, which featured four union ministers and former prime minister HD Deve Gowda. The counting of votes for the seven-phase election, will be held on May 23. The electoral fate of Biju Janata Dal (BJD) chief Naveen Patnaik will be decided today as Odisha cast votes to elect representatives to 35 assembly constituencies in the second phase of the elections. Polling is also being held in Aska, Kandhamal, Sundergarh, Bargarh and Bolangir Lok Sabha constituencies and the assembly segments under them. 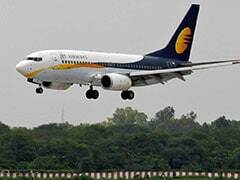 Jet Airways, the cash-starved Indian carrier, has suspended all operations from Wednesday night after the State Bank of India-led consortium of lenders turned down its request for emergency funds. The airline, founded by Naresh Goyal, was under Rs 8,000 crore debt and was struggling to stay afloat. 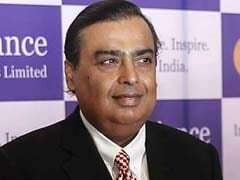 Until recently, the airline was the second largest carrier in India by market share. So where did it all go wrong? 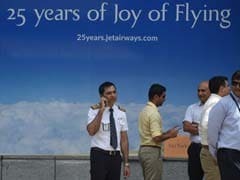 Jet Airways, once India's top airline now hit by a debt-crisis, said on Wednesday that it was suspending operations temporarily, having failed to secure emergency funds from its lenders. The airline, saddled with more than Rs 8,000 crore of bank debt, has been teetering for weeks after failing to receive a stop-gap loan of about Rs 1,500 crore from its lenders, as part of a rescue deal agreed upon in late March. 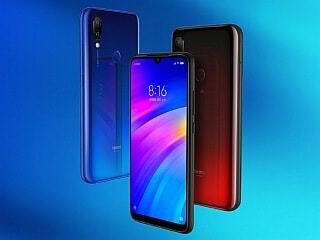 Today, Jet said that the lenders rejected its request for around Rs 900 crore while trying to identify an investor willing to acquire a majority stake in the airline and attempt to turn it around. Tamil Nadu votes in a national election for the first time after the death of its two iconic politicians, J Jayalalithaa and M Karunanidhi, left a vacuum that will be hard to fill. After losing its charismatic leader Jayalalithaa, the ruling AIADMK has been struggling with infighting and a fierce power struggle. This election marks many firsts for the state that sends 39 members to parliament. Two legendary actors, Rajinikanth and Kamal Haasan, have taken the plunge after holding out for many years. Only Kamal Haasan's new party Makkal Needhi Maiam (MNM) is debuting in the election. Electoral bonds, which have become controversial as they enable big anonymous donations to political parties, will not be stopped in the middle of the national election that started on Thursday. 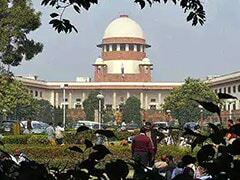 In an interim order, Supreme Court asked all parties contesting the polls to furnish details of funds received through bonds in a sealed cover to the Election Commission by May 30. The details would be in the election body's "safe custody", the top court ruled, putting off its decision on bonds.